What is a true love? How can you know whether you have experienced it? When should you think about it if not in those moments, when it is certain, that death is knocking on your door? And what is it that you need to tell to a loved one in those moments when you are going to leave them? 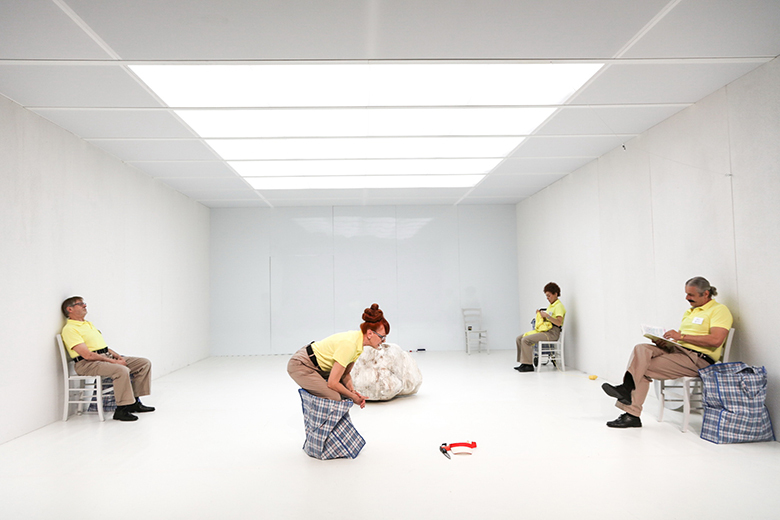 In spite of serious subjects, that the four characters are obsessively dealing with, this play is written in a very communicative and funny manner. Ivan Viripaev, a master of contemporary dramatic writing, creates in the “Illusions” a crossover between the structure of a play and poetical reflection, sharp and snappy dialogues with lyrical confessions, staged reality with its numerous parallel worlds. “Viripaev needs imaginary names – American, to describe the speech of love, cognitive praxis and forms of madness, that come to its existence through love. His comedy is very similar to Plato’s dialogue, to translating stories into categorized notions and classification of love discourses in the cognitive process. 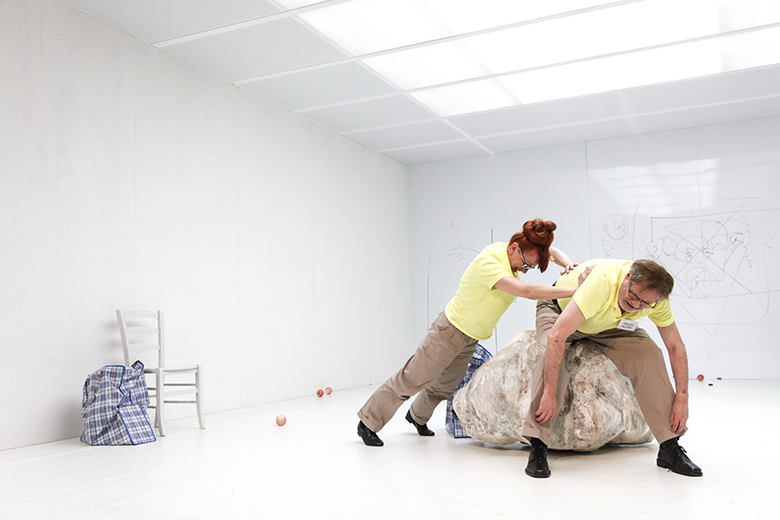 Svetlana Slapšak, from the catalogue of the performance, Ljubljana City Theatre, 2016.